The coach of the Los Blancos side was speaking to a news conference in preparation for the Champions league tie against CSKA on Tuesday. The coach spoke lengthily about the preparations for the game and refused to tale anything away from the Russian side. He said acknowledged the fact that their best players were returning from injury and that Real Madrid had to be prepared. 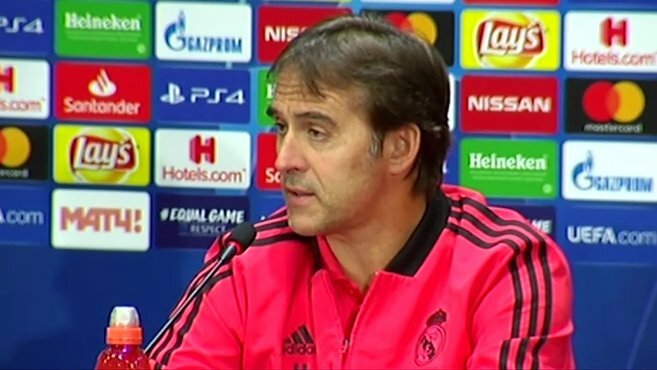 Lopetegui touched on last week's encounter with Athletico Madrid and was glad that his team were able to put up a fight. The Real Madrid boss opined that some players would be rested and some others would have to take their place. He confirmed that Odriozola would be coming into the team which would likely mean that Carvajal would be benched. Then, he talked about resting Sergio Ramos who had player nearly every minute for Real Madrid this season. He said the player's hamstring would be glad to find some rest. Lopetegui also hinted that Vinicius would get some game time. Gareth Bale is a serious doubt for the match although a scan of his leg showed that no serious damage occurred. However, Lopetegui would not want to risk anything and the Welshman would likely be rested.